Director, scholar, and superb annotator Amelia LeClair has devoted her Clausura Cappella concerts this season entirely to music composed by women. Fall’s “First Ladies,” featured works of Rebecca Clarke, Ethel Smyth and Amy Beach, all accomplished 19th-century composers. 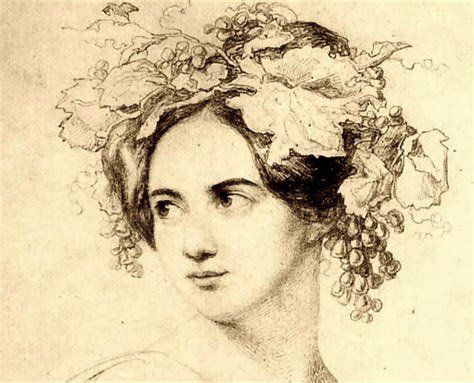 Concerts in March will offer three cantatas by Fanny Mendelssohn. “ReSound in the Convent,” at Emmanuel Church, Boston on Saturday and Sunday at Eliot Church, Newton, included a wide variety of music written by Baroque Italian cloistered nuns, along vocal music of Rebecca Clark, Patricia Van Ness, and Suzanne Shepard. The instruments, who shone in several solo pieces, included the Clerici String Trio (two violins and cello) and the excellent theorbo player, Catherine Liddell. Cappella Clausura’s name honors the extraordinary body of music written by cloistered nuns of 17th-century Italy who, in the language of the time, were said to be “in clausura,” covered, hidden away, segregated from public life. These gifted and musically educated individuals—such as Raffaella Aleotti, Chiara Cozzolani, Bianca Maria Meda, Caterina Assandra and Sulpitia Cesis—became our first historical community of recognized women composers. Cappella Clausura has performed and recorded their music with dedication, and will continue to do so. And we have kept the name “Clausura” as a metaphor for the cultural obstacles faced by women composers throughout history.” In a recent interview LeClair explained, “The history of composition is super important to the composer of today. I was a young composer with no female models- none. I think of it this way: the classical idiom is comprised of spinning out ideas — at least the major works. That’s where the discipline and the art come in. Women didn’t have that chance. Many wrote songs for home piano, just tunes, a lot of songs. There was even a term for it in the early 20th-century “ladies’ music.” But only a few, like Ethel Smyth, could spin out their ideas into larger pieces. In the 17th century, over half the daughters of the elite entered convents. While many of these women chose to come into the convents to avoid the curse of marriage- usually to a much older man and perhaps life-threatening childbirth, many others were sold to the convents which asked smaller dowries than the families of marriageable men. However, the convents of northern Italy were uniquely favored with the support of their prelates and communities for making music. With a wink at the Vatican’s frequent edicts prohibiting nuns from making, writing, teaching and performing music, (these edicts seem proof that ask kinds of music was made anyway), the locals gave both financial, practical and emotion support by providing instruments, teachers, audiences and halls. The recent show featured two “giants,” (as LeClair describes them), Chiara Margarita Cozzollani of Milan, and Isabella Leonarda of Novarra, and a generous selection of all the known nun composers. Compositions by the beloved Hildegard von Bingen (1098-1179) served as bookends. LeClair’s interesting decision to use strings as a drone instead of voices worked surprisingly well. Three contemporary composers provided bonuses. A world premiere by Suzanne Sheppard, The Twilight Turns for string trio and alto to a text by James Joyce, was sung nicely by Sheppard’s sister Lisa Hadley. The full choir gave a moving world-premiere-interpretation of Patricia Van Ness’s A Little Child Exalts You from Psalm 8; LeClair and Van Ness are frequent collaborators in no fewer than ten of Van Ness’s psalm settings (she hopes to set all 150). The gorgeous There is no Rose by Rebecca Clark provided the biggest surprise. (This famous poem, “There is No Rose of Such Virtue,” a Christmas Carol written in the very late Middle Ages (c. 1420). Britten also compellingly set the text in Ceremony of Carols). Sung by the six men, Clark’s setting constituted the ravishing highlight of the afternoon. The women of the choir also delivered a version of this famous poem by Anonymous. On Sunday tenor Fauto Miro and soprano Janet Stone particularly impressed in a context of Boston based voices that never disappointed. I eagerly anticipate their Fanny Mendelssohn concert which includes the memorably-named Oratorium nach Bildung der Bibel, “The Cholera Cantata” on March 30th and 31st). Susan Miron is a book critic, essayist, and harpist. She writes about classical music and books for The Arts Fuse. Her last two CDs featured her transcriptions of keyboard music of Domenico Scarlatti.